33. Subject to article 32(11), in any proceedings for an offence under this Order, except for a failure to comply with articles 8(1)(a) or 12, it is a defence for the person charged to prove that he took all reasonable precautions and exercised all due diligence to avoid the commission of such an offence. precautions and exercised all due diligence to avoid the commission of such an offence. default of his employees or appointed competent persons. 10 Things you need to know about Enforcement Notices. Warren Spencer is one of the country’s leading fire safety lawyers. He has now prosecuted and defended fire safety cases for over 12 years and has also conducted numerous Enforcement and Prohibition Notice Appeals brought under the Fire Safety Order. He is able to offer impartial professional expert legal advice in all aspects of fire safety enforcement. Warren is a Higher Courts Advocate, an accreditation which enables him to work as an advocate in the Crown Court. 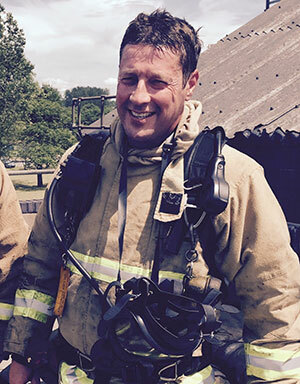 Warren has conducted prosecutions for Lancashire, Greater Manchester, Humberside, Cumbria, Cheshire, Merseyside, Hereford & Worcester, Shropshire and Wrekin Fire & Rescue Services, as well as advising businesses and professionals on various aspects of Fire Safety Law including its effect upon PFI contracts. Warren is a part-time Tribunal Judge and in 2015 he was appointed as a 'Legally Qualified Chair' for Police Disciplinary proceedings in the North West. He is also a former Assistant Deputy Coroner for Blackpool and Fylde.